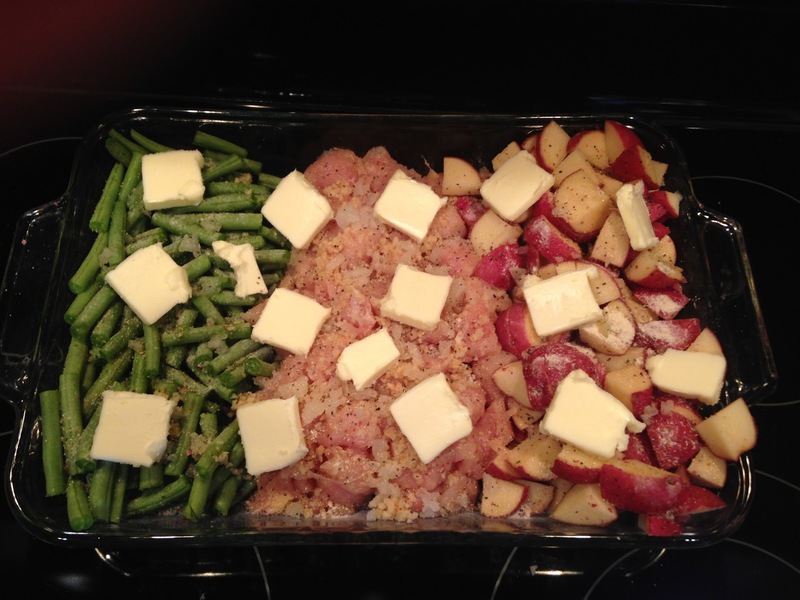 EASY Italian Chicken Bake – Only Five Ingredients! Lately I’ve been aiming for quick, easy, and healthy dinners. I’ve been making a lot of crock-pot recipes because I absolutely LOVE being able to pop something in the crock-pot in the morning and not have to start making dinner at 5 o-clock when the kids are getting cranky and I’m starting to lose my steam. Hopefully I’ll be able to share some good crock-pot recipes with you soon. But my other go-to type of recipe is the type of recipe that only takes a couple of ingredients and only requires ONE pan! The recipe below is one such gem. Enjoy! 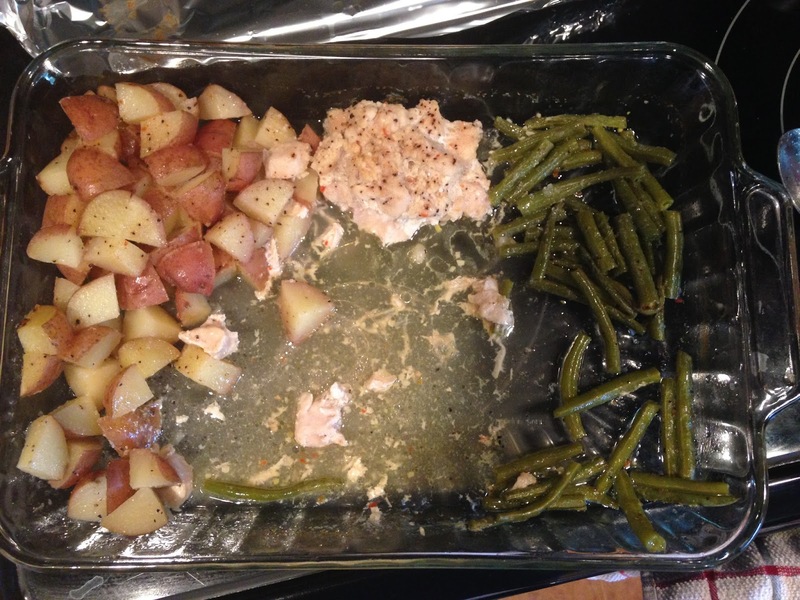 Arrange cut potatoes, green beans, and chicken in a 9 x 13 baking dish. Mix in sliced onion and sprinkle garlic over chicken if desired. Sprinkle dressing over entire dish. Add sliced butter over the top. Cover with foil and bake for about 60 minutes (depends on how small you have cut everything). Make sure not to over-bake as the chicken can easily dry out! Serves 5-6. That’s it! 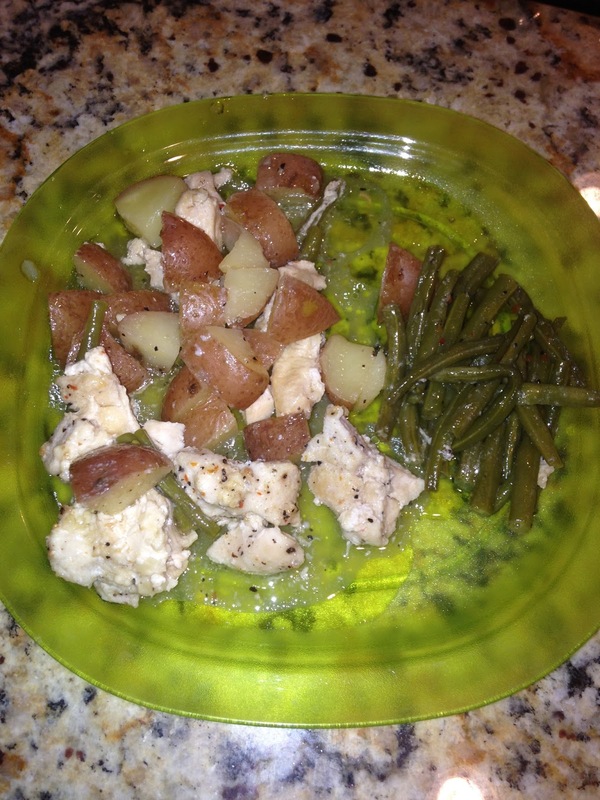 A quick and easy dinner the whole family will enjoy! Next Isaiah’s Fifth Birthday Lego Party!